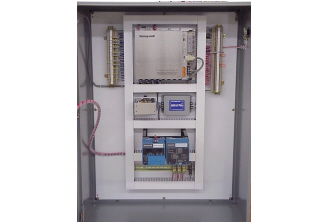 We are able to operate and maintain all types of BMS Systems. In most case the saving made in energy consumption with no loss of comfort far outweigh the cost of the maintenance work. All buildings benefit from a correctly programmed and operating control system. From individual programmes to optimisers right up to full Building Management Systems (BMS). What’s involved in BMS servicing? Visual Inspection : To assess any degradation of the equipment due to corrosion, normal wear and tear or damage. Temperature & Humidity Checks : To ensure optimum control of the plant and environmental conditions. Electrical Checks : To establish operational state of the equipment. Functional Checks : Proving control and safety interlocks as per the original design. Resetting and Adjustments : To ensure setpoints and space conditions are maintained as economically as possible. Alarms : Proving of alarm reporting procedures and systems. Battery Conditions : To ensure programs are maintained during power failure conditions. Outstation Back-up : The outstation software is backed-up and saved to disk. Recommendations : Any action necessary to optimise or improve the plant performance/reliability. Reports : Provide a detailed engineers report of all findings and control parameter settings. We work on many different manufacturers products and have a wide and wealth of experience working with the leading manufacturers of the UK’s Building Management System supplies. Whether it be breakdowns, servicing or installations we cover all aspects in relation to heating no matter how big or how small. We pride ourselves on our response times on breakdowns as sometimes the loss of heating can disrupt productivity. We respond within 2 hours when needed.